The project was funded by Broadstairs & St. Peter’s Town Council, Broadstairs Town Team and Southeastern. 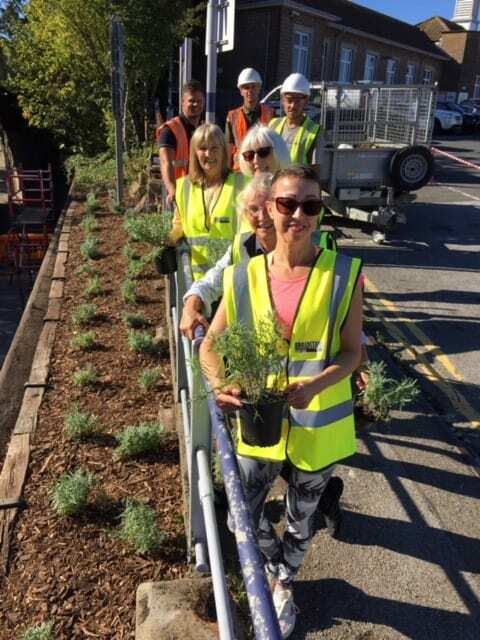 Broadstairs Town Team worked with local landscaping company ‘The Potting Shed’ who removed all the old plants and weeds and cut back the overgrown areas and planted new lavender bushes. 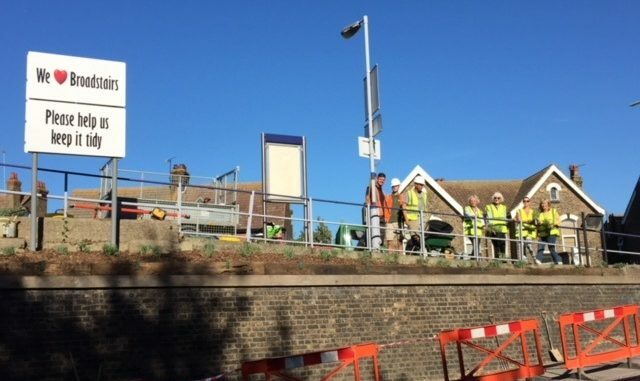 The Town Team volunteers (The Station Crew) will look after the plants along with the planters and hanging baskets they already maintain at the station. 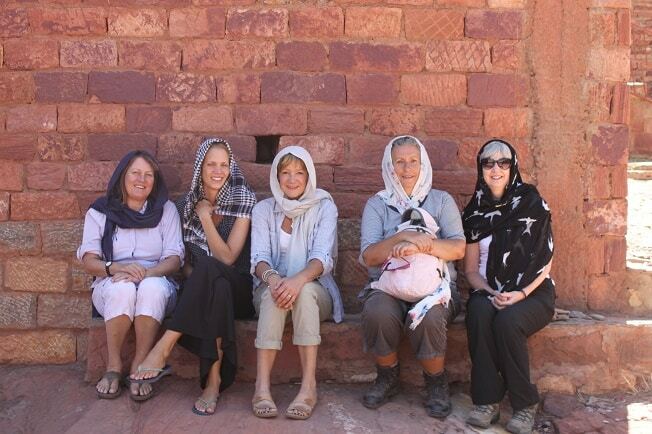 A team of staff from East Kent Hospitals are heading back to Ethiopia next month as part of an 11 year project. 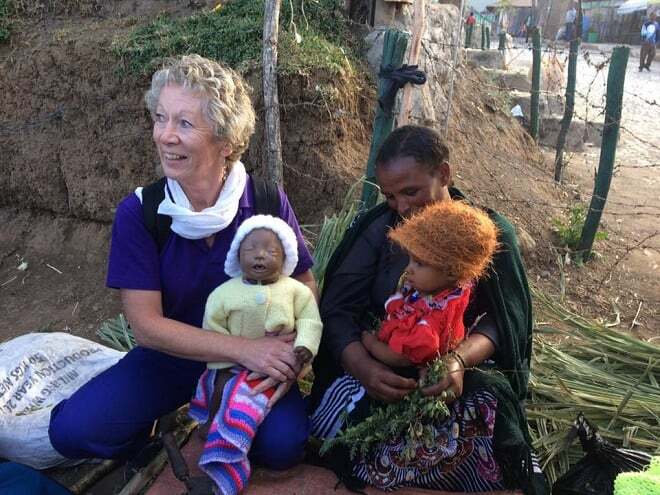 The Healthcare Ethiopia Partnership (HEP) project is run by EKHUFT midwives and obstetricians to support healthcare workers to reduce maternal deaths and deaths in children under five years old in the region of Tigray in northern Ethiopia. The project has been running for 11 years, and HEP members visit twice each year to deliver training programmes to people across rural areas. The next trip is taking place in November. The training consists of skills drills training, role-play and interactive scenario exercises and is delivered to doctors, nurses, midwives and health extension workers in either classroom situations or clinical areas. The volunteer team also provides advice and guidance in clinical areas and deliver small items of equipment purchased through fund raising and donations. 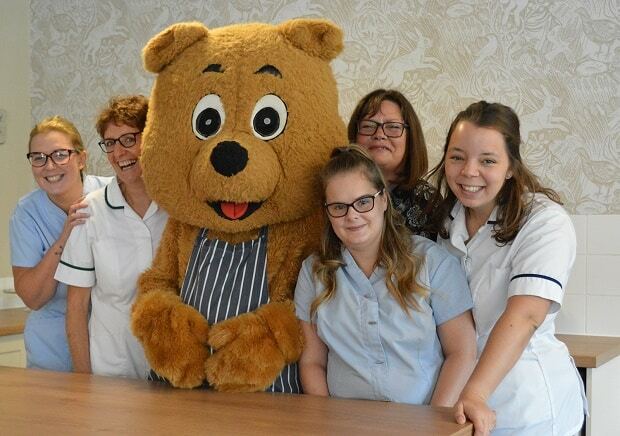 Midwife Nichola Morgan said: “The visits are often challenging, both physically and mentally, and require a degree of flexibility and an open mind, as teaching might take place outside a health centre or in a hut. “We get to deliver training and products they really need, and in return we get to enjoy the countries rich culture and beautiful landscapes. 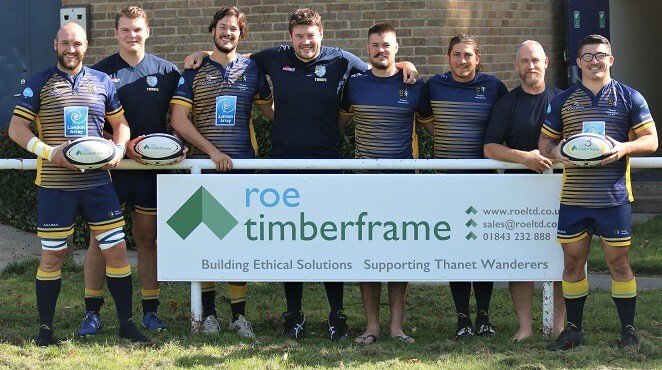 Roe Timberframe Ltd have recently become Silver Sponsors of Thanet Wanderers. The expanding company, based at the Westwood Industrial Estate in Margate, has now further linked with Thanet’s only rugby union club by agreeing to be the whole of club’s Ball Sponsor. The balls will carry Roe Timberframe’s motif and also feature Thanet Wanderers’ colours. The club’s director of rugby, Cary Wright said a massive thank you to Roe Timberframe for the tremendous boost which benefits every age group within the amateurcClub. Magical Christmas draw tickets have landed at homes across east Kent, express delivery! The last six draws have raised an incredible £500,000 for vital care locally. Supporters will often go to amazing lengths to raise funds for their much-loved local hospice charity. Purchasing a Pilgrims Hospices Christmas draw tickets is just one way you can help from the comfort of your armchair. There are 13 super cash prizes to be won in this year’s draw with a £2,000 first prize. The draw will take place on December 13 with all winners receiving their prizes in good time for extra Christmas treats. All responses received within 30 days will also be in with a chance of winning a £50 M&S Gift Voucher. 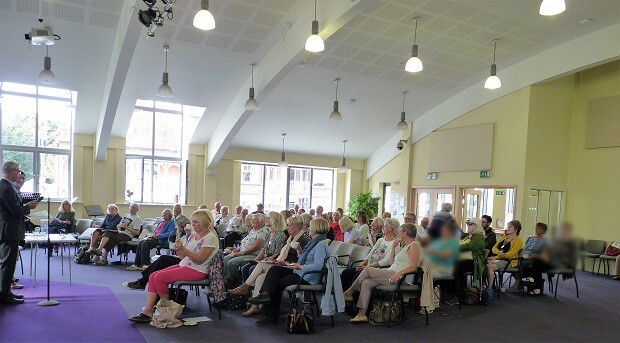 The Gap Centre at Broadstairs Baptist Church was the setting for the latest meeting of the Thanet Over Fifties Forum (TOFFs) which took place last month. 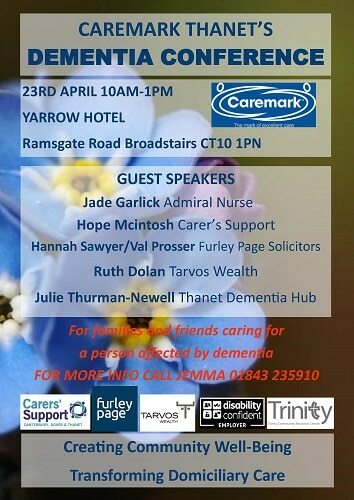 Guest speakers were Ged Timson, of Thanet Clinical Commissioning Group (CCG), and Steven Harrison, senior partner of Thanet-based solicitors firm, Robinson and Allfree. Both speakers provided a wealth of information, and a packed audience had the opportunity to offer them several good questions from the floor. Along with a great turnout of local residents, a number of community, support and health-based organisations were in attendance, including Bright Shadow (which provides activities for people living with dementia), Healthwatch Thanet, Carers’ Support, Caremark, and NHS Falls Prevention; and separately, information on the Local Plan. Mr Timson spoke on a new national initiative designed to improve access to GP appointments. He reported that in simple terms it’s about improving access for patients to pre-bookable appointments at different times of the day at GP surgeries. Some practices will stay open Monday to Friday 8am to 8pm. There will also be appointments available on a Saturday 8am to 8pm and Sunday 8am to 12.30pm, with a GP at the QEQM A&E department. If you’re a patient and you want to see a GP on a Thursday evening at 7pm then the process will be the same as normal where you will telephone or visit your GP surgery and ask to make an appointment. A date and time will be provided as long as there is an availability. Where an appointment is required at weekends then you use the same process and ring or visit your GP surgery and make an available appointment say for 3pm on a Saturday afternoon and these will be based at the QEQM. Mr Timson explained that not all practices would be able to provide the new pre-bookable appointments due to GP capacity. However, their patients would still be able to pre-book an available appointment in the new extended hours, but the appointment would be held at another medical centre; so for example, if your surgery is at the Northdown Practice you may be required to attend an appointment at the Bethesda Surgery or with a GP at the QEQM. TOFFS second speaker was Steven Harrison, a solicitor of almost 35 years’ experience. He provided valuable information on Wills and Lasting Power of Attorney. Mr Harrison began by explaining briefly the ramifications of not making a will, which he said would render somebody’s estate subject to the rules of intestacy. He said: “It is not compulsory to make a will, but without one, people living together cannot assume that they will inherit everything”. Questions from the audience included issues surrounding financial planning for a child with learning disabilities, Inheritance Tax, and the making of a will when you are a business owner. 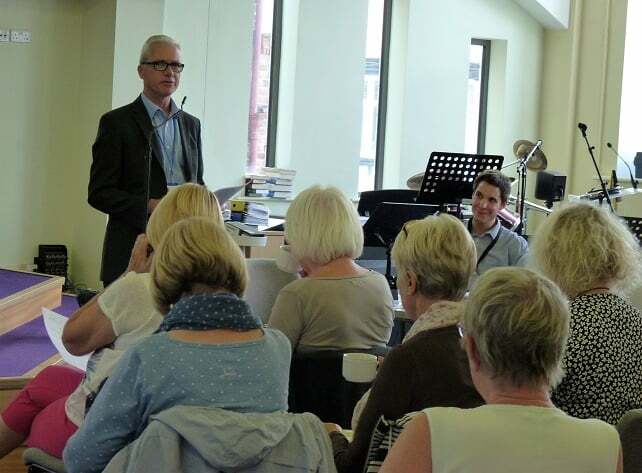 Mr Harrison went on to talk about the all-important topic of Lasting Power of Attorney (LPA), which, he stressed, had nothing to do with making a will. He explained that an LPA is what we call a lifetime document, of which there are two types: (1) Property and Financial Affairs LPA; and (2) Health and Welfare LPA. Why have an LPA: If you have a heart attack, a stroke, an accident or any type of illness that affects you when you get older e.g. Dementia or Alzheimer’s, where you lose the ability to make decisions for yourself, by making an LPA when you have the mental capacity, it allows you to appoint people you trust to make those decisions for you. Next up for TOFFs is a meeting on November 20 at Custom House, Ramsgate, from 10:30am-12:30pm, which will celebrate 100 years of women getting the vote. 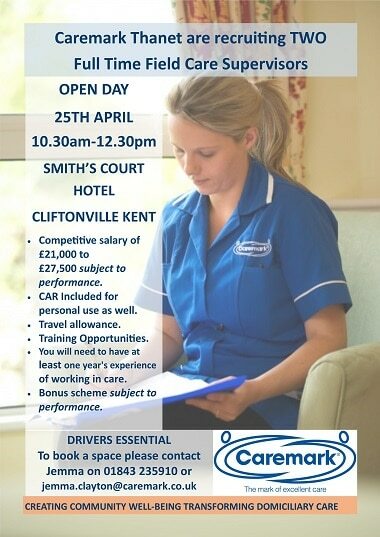 Chief Inspector Sharon Adley of Kent Police, and local author and historian Laura Probert, will be the guest speakers. To join the ever-growing army of TOFFs members who attend the TOFFs meetings and receive regular newsletters packed full of information on local and national topics FOR FREE, please give TOFFs a ring on (01843) 609337 or email toffs@thanetvolunteerbureau.co.uk. Saturday 29 September was an extremely busy day for Ramsgate RNLI fundraisers with a presentation, a visit from the RNLI 911 Challenge, a choir concert and art show and lastly a Fish and Chip Supper in all one day. The mammoth day started with a presentation of recognition and thanks to John Ray (pictured above), who stepped down as volunteer press officer earlier in the year, from the fundraising team for all of his support over the past 11 years service. He is not retiring completely as he will continue as station archivist and with his wife Vanessa will continue with their educational role reaching out to local schools. The fundraising team then had to dash across town. 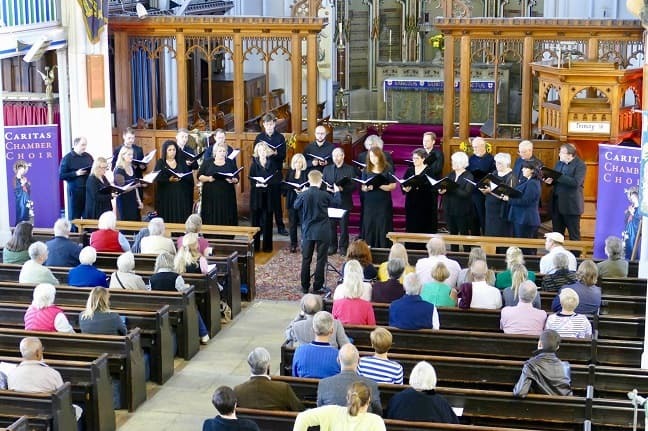 Canterbury based Caritas Choral Choir had approached Ramsgate RNLI fundraisers asking if they could put on a concert to raise money for the local RNLI. With the assistance of the Station Chaplain John Chater the event was arranged to be held at St George’s Church in Ramsgate which has ties with the local RNLI. 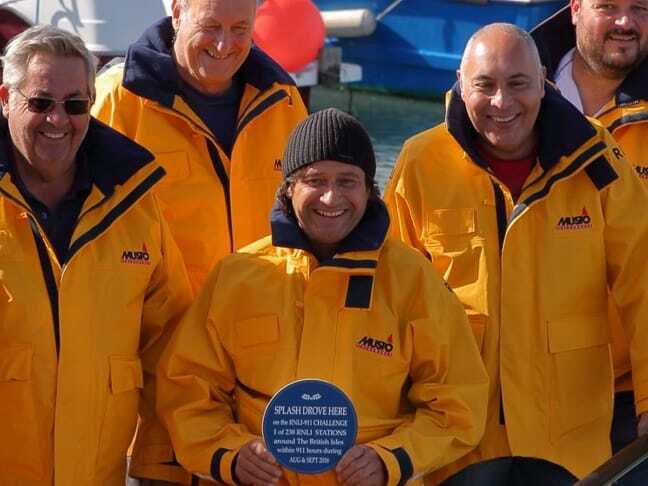 A full program of music was written by well known Choir Director Benedict Preece and local artists were encouraged to exhibit nautical art works as well as the fundraisers selling RNLI merchandise. The event was called SeaScape and proved to be a delightful afternoon. 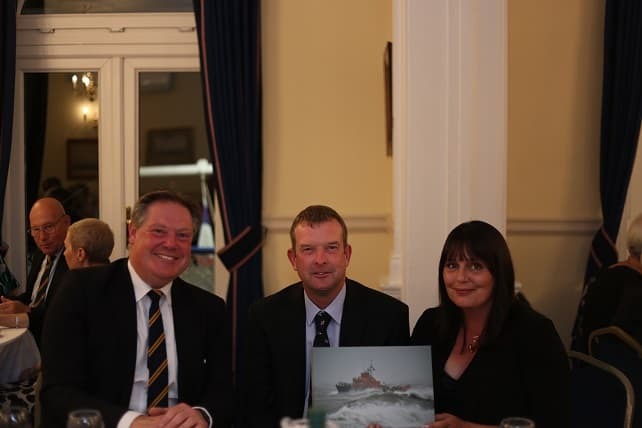 On September 22 the Royal Temple Yacht Club hosted their annual dinner to thank the Ramsgate RNLI crew and their partners for their support and dedication. 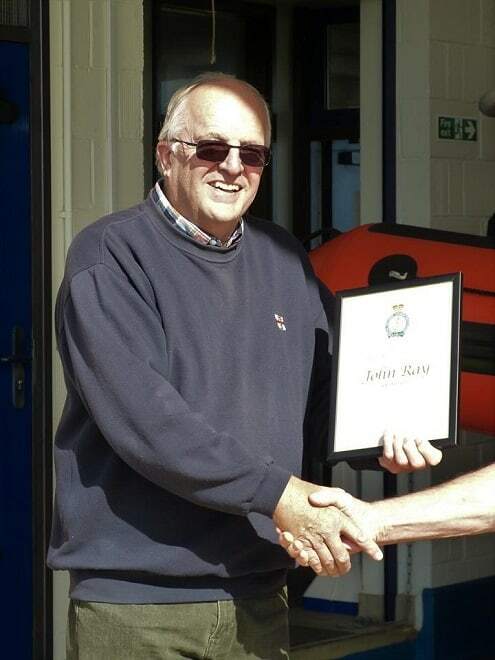 During the evening the Coxswain Ian Cannon took the opportunity to present long service awards to Lance Oram and Clive Nicholls for 20 years of voluntary service. In turn the Commodore Andy Beaumont-Hope presented the station with a photograph by local photographer Malcolm Kirkaldie, taken of the Inshore and all-Weather lifeboats off Broadstairs during a storm in April. RNLI Ramsgate Lifeboat Station members are getting excited about the forthcoming Convoy Evening at Wetherspoon on October 21. Convoy is a board game for 2-4 players created by Bernard Sparkes entrepreneur, creator and Managing Director of Convivium Services. The game is a mix of Connect4 and a card game, easy to learn and devilishly cunning once mastered. One game is never enough, and the satisfying part is that each game is relatively quick. The idea came to Bernard four years ago at 3am in the morning and has been gaining a growing audience ever since. Bernard came down to the station recently to meet the crew and teach some of them how to play. They were intrigued, caught on quickly and became extremely competitive. So come along and join us at the Royal Victoria Pavilion, Britain’s largest Wetherspoon on Sunday 21st October from 7.30pm to 10.30pm and see what the hype is all about. Not only that but there are superb prizes to be won generously donated by Bovy Tours, Stagecoach, DFDS, Comfort Inn and Stena Line.